In my exhausted state the other night, I forgot to mention that we had two wonderful signs from Miles’ family to greet us at the border. Thank you Bishers! Welcome home! 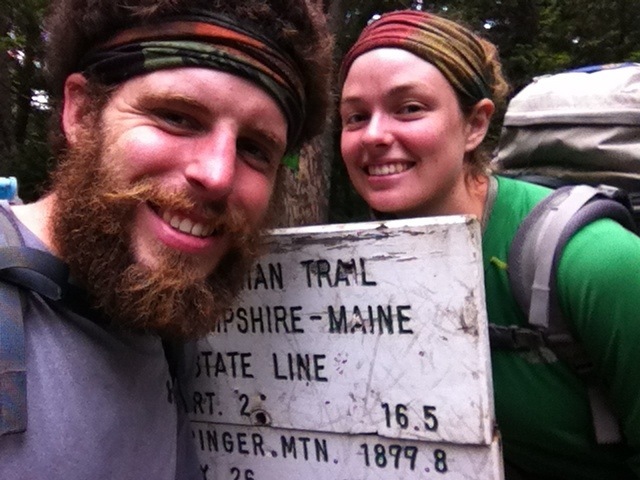 You are absolutely astonishing in your determination to complete this thru-hike. We’ll look forward to seeing you cross the “finish line” in Bucksport one of these fine days! So glad the signs made it before you! Erika was worried about the litter on the trail if they were put up after you had passed through. Such fun to have you back to “Maine – the way life should be”! 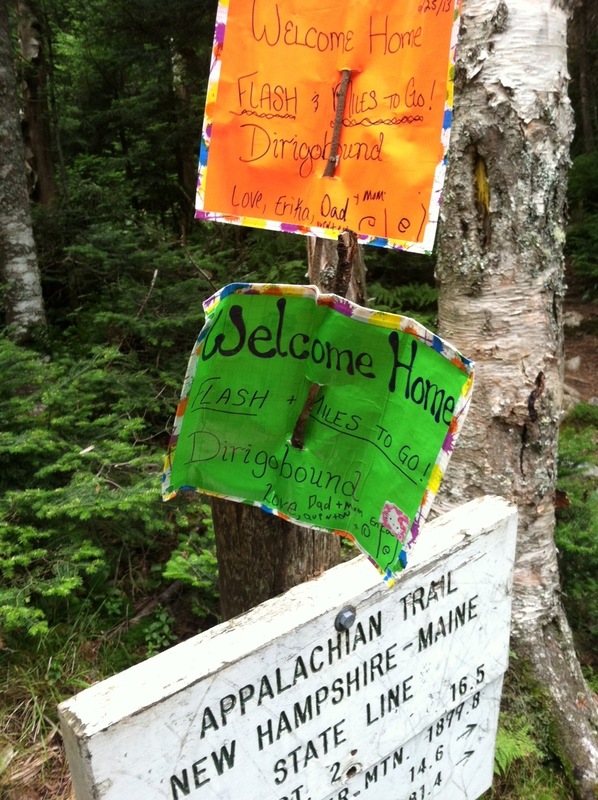 We had fun making the signs and finding thru-hikers to take them.